Currently available only for Chrome. Firefox, Edge, and Safari browser extensions coming soon. 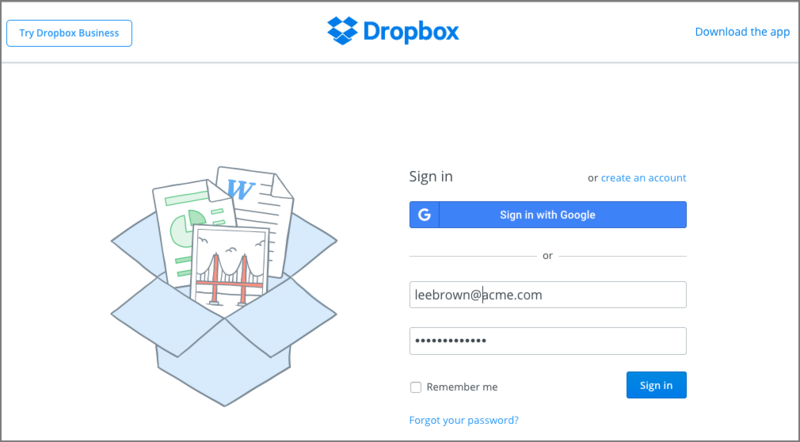 For admins: this feature is available only for apps that use form-based authentication and whose connector has been set to Configured by end-users. This includes all personal apps. It requires that you enable Add App for the user's security policy. How do admins enable the Update Password feature? Make sure that you have the latest Chrome browser extension and an active OneLogin session. Log into an app and change the password. Log out and log back into the app with the new password. The Update Password dialog appears. 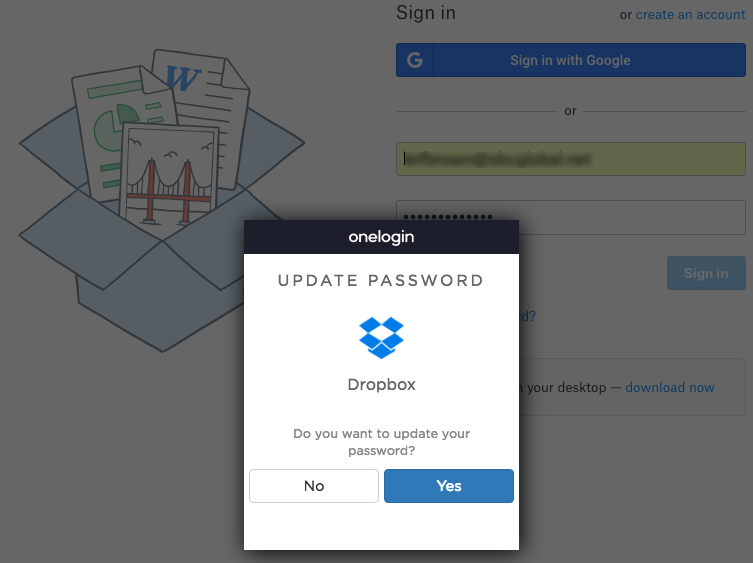 Click Yes to let OneLogin save your new password for the app. You can dismiss the dialog by selecting No. How do admins enable Update Password? Allow your users to have personal apps--or form-authenticated company apps that are set to be Configured by end-users. In other words, your users must be able to update the passwords in OneLogin for these apps themselves. To ensure that personal apps are enabled, log in as an Account Owner, go to Settings > Account Settings, and verify that the Enable Personal Applications option is selected. Assign the user to a User Policy that has Add App enabled. Note that User Policies can have Add App enabled for company apps, personal apps, or both. Users will only see the Update Password dialog for the app categories that you enable in the policy. For example, if you don't enable company apps for Add App, users won't see the Update Password dialog for any company apps. Note. If a user selects Never ask me again when prompted by the Add App dialog, they will no longer be prompted by the browser extension to add apps or update passwords. If they want to see either the Add App dialog or Update Password dialog again, they must go to their Profile preferences and select the Add Apps checkbox to see the Add App dialog again. For more information, see Adding Apps using the Browser Extensions.